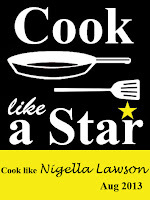 There's one more day left until tomorrow to join Cook-Like-A-Star featuring Nigella Lawson. If you have not linked up yours yet, there's still time until 12.00 midnight tomorrow. Tomorrow shall be my last post for Nigella's event, and for today, I'm sharing one of Nigella's chocolate recipe. All of the Nigella's chocolate recipes that I've tried so far are winners. And this is one of them. A simple chocolate cake with canned pears at the bottom, and served with chocolate sauce. Delicious! The best part is, all the ingredients for the batter are mixed using the food processor. Couldn't be any easier than that! Drained canned pears are placed on the bottom of a greased baking dish or pan, the batter is then poured over the pears. 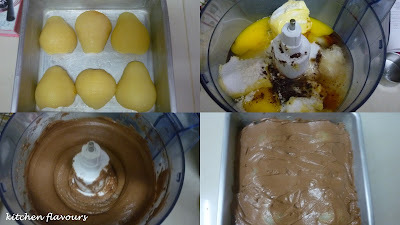 At first, I was worried as there seems to be not enough of cake batter to entirely cover the pears. But not to worry, once the cake is baked, it puffed up nice and soft. A slice of Chocolate Pear Pudding Cake, though I wonder why she named it Pudding Cake? It has all the texture of a lovely, moist and soft chocolaty cake, very good! Serve with chocolate sauce, spooned over as much as you want! Delicious! Another keeper recipe, and it is so easy and "express" to make! Preheat the oven to 400F and grease an 8-1/2-inch square ovenproof dish with butter. Drain the pears and arrange them in the base of the dish. Put all the remaining ingredients in a processor and blitz till you have a batter with a soft dropping consistency. Spread the brown batter over the pears, and bake in the oven for 30 minutes. Let stand for 5 or 10 minutes and then cut into slabs - I cut 2 down and 2 across to make 9 slices - and serve with chocolate sauce. I'm linking this post to Cook Like A Star, where the featured chef for this month is NIGELLA LAWSON. 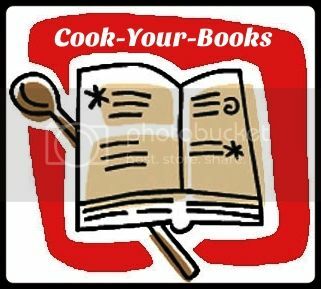 Cook Like A Star is an event organized by Zoe from Bake For Happy Kids, and the co-hosts for this month are Anuja from Simple Baking and me, Joyce from Kitchen Flavours. Cook or bake any of Nigella Lawson's recipes and link your posts to any of the hosts' linky which will stay open for the whole month of August. All submissions to this event must be current posts, published within the current month of this event, any older posts will be deleted. 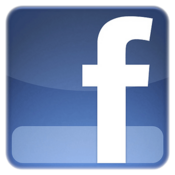 Please mention and link Cook Like A Star somewhere in your post. Do join us, everyone is welcome! 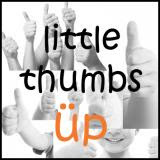 and Little Thumbs Up, where the ingredient for this month is Eggs, hosted by Baby Sumo from Eat Your Heart Out, and organized by Zoe from Bake For Happy Kids, together with Doreen from My Little Favourite D.I.Y. I love the canned pear at the bottom... pears just go so well with chocolate cake! Hi Joyce ,what a delicious cake , got to make it for holiday (Labor Day) Monday, may I have a chunk of your now :) Thanks for sharing . Joyce, this chocolate cake looks great! The texture looks pretty soft and though I have not eaten canned pears, I am sure they go well together. Am bookmarking this recipe. At this rate, there is no hope of me ever losing weight. Hah! Hah! Oh Wow! You made it! I was looking at the recipe. Your results is DELISH! The chocolate pear cake already sounds delicious and what is more with that added chocolate sauce drizzle on top. Absolutely delicious!!! Chocolate pear cake looks divine ! Hi, Joyce, this chocolate cake looks so moist especially with the chocolate sauce! Yummy! Oh WOW! This is really, really, irresistable! I sure have enjoyed all the delicious looking Nigella recipes, Joyce. This one may just be my favorite though, for the moment anyway, lol...Chocolate and pears and oh so easy, what else could a "gal" ask for! I saw quite a few of Nigella's recipe that uses food processor to mix the ingredients. Makes life easier, I guess! Thanks for linking this to LTU! this looks SO delicious - chocolate and pear is SUCH a great combination - it looks totally luscious! Omg, such a gorgeous cake,that plate looks highly irresistible. I want to try this kind of cake for so long ! I must do it ! i've never seen canned pears before..i think this is quite special with the pear pairing with the chocolate cake! nice dessert! You're so right ! Nigella's cakes are winners :D Easy to make as well ! This chocolate cake look wonderful - love the pear and chocolate combo ! Still making a last minute dash to bake Nigella's recipe??? You are superb! Plus this cake, there is so many Nigella's chocolate cakes to bake now... but no more Nigella event now... sob sob! Hi..where do you bought the canned pears in juice here in Malaysia? I've looked everywhere for it and only those in syrup are around. Thanks. Btw..I've baked the cake and it's delicious. ..got the pear during my trip to Australia. ..